A tough week went by in the crypto market and a lot of blood spilled over the currency rates. This continues to feel the ongoing correction of the mad rises from last year. The FOMO feeling was replaced by the FUD, which is hurting the market with brutal declines and bringing Bitcoin to the lowest rate it has visited since June. For those who have not yet experienced a crypto-economic crisis and who have already forgotten the cruelty of the market, CMC can provide a reminder and show how in one week the alternative coins lost an average of 30-40% against the dollar. This is a strong and unexpected blow after we had estimated last week that we had hit the floor. The dominance jumped to 54.1% in favor of Bitcoin and the entire crypto market dropped from $200 Billion, which is particularly worrying for those who entered the market in the past year. Ethereum, which reached its peak at $1,360 in December, is currently trading at $264, and meanwhile it is difficult to predict the bottom. We may be seeing SALE prices under the cover of weak hands. It is possible that the realization trend has not yet said its last realization, and it seems that it will take more time for the market to stop for a deep breath. 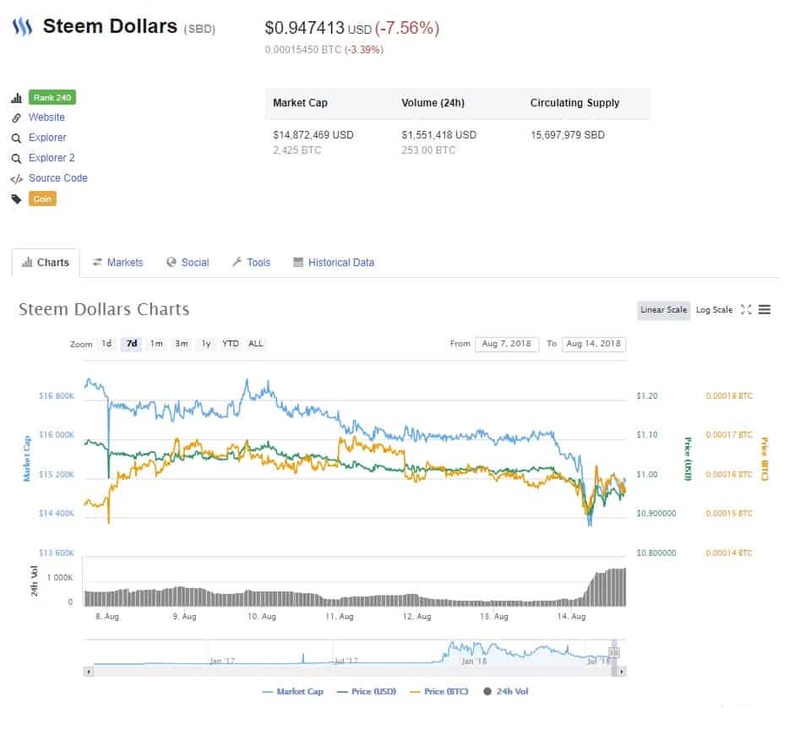 Even the currency of the Platforms Steem (SBD) which should be backed by 1 dollar fell below the dollar mark. The entire market is affected and those who hold Altcoins feel it well. Good time to think that whoever enters the market at its peak must examine themself and learn the behavior of the market for the future. Nevertheless, a little perspective is needed, spiced with optimism and patience. It is possible that the current market rates are an opportunity for those who sit on the fence or seek to strengthen their positions, arm themselves for the next wave of rises. And for those of you who do not want to be exposed to the Crypto market directly, Bitmine is planning an initial public offering and has released a prospectus on the company site. The information that comes from there is very exciting for the world of Crypto. *The aforesaid shall not be construed as a trade recommendation. Wall Street bull Tom Lee Bullish on Bitcoin: Don’t Panic Bitcoin is Bouncing Back. Following the latest dip in BTC value, the wall street marshall has turned up bullish at a CNBC interview, telling investors to keep calm and watch the currency gradually regain its market share in the coming weeks. Spanish Central Bank Backs Cryptocurrencies in New Report. In a statement released late last week, The Banco de Espana (BDE) disclose their favorable view of digital currencies. The premier bank pointed out cryptos will improve a country’s monetary policy if there was a CBDC. Lightning Network Passes 3000 Nodes; Capacity Approaches 100 Btc. The technology which runs on the Bitcoin mainnet has reached a new milestone and looks set for another this month. Lightning’s total funds’ accommodation is currently said to be 97 BTC ($628,000) and will surpass 100 BTC pretty soon. Pantera Capital Ceo Says Investors ‘overreacting’ To Bitcoin Etf Delay. The delay of CBOE Bitcoin ETF final hearing should not plunge the market. According to Dan Morehead, “excited” investors should not sell off their assets since it would still take a long time before the ETF is approved. Selling Bitcoin Because Of ETF Delay Is A Wrong Decision, Says Brian Kelly. Investors who are jumping on the selling off the wagon after the fall in bitcoin prices are making the wrong choice according to the billionaire investor. He also does not see a bitcoin ETF happen in 2018 because the market still has a lot of issues to contend with. Kim Dotcom: Invest in Bitcoin Before U.S. Debt Spirals Out of Control. Everyone should start investing in BTC and gold before it is too late. Kim Dotcom claims that a global economic crisis will soon happen because the US is accumulating $1 trillion debt annually and cannot pay this in the future. Two Swiss Banks Now Accepting Money From Crypto-related Activities. Following the steps of Falcon Private bank, Maerki Baumann in the past week became the second Swiss bank to open its doors to blockchain and cryptocurrency firms. Even though the firm does not directly accept crypto investments, they now accept money generated from crypto. Turkish Lira’s Collapse Sees Media Highlight Bitcoin’s Relative Stability. Bitcoin’s relative stability can reportedly be traced to the fall of Turkey’s native currency. A lot of people in the country are converting fiat to cryptocurrencies for fear that the Lira falls further behind and cause them a huge loss. Crypto is safer than Lira. The most important news in the “cryptocurrency space” today is the gigantic IPO that @BITMAINtech intends to complete this year. The bitcoin mining technology giant is planning a massive Initial public offering that could be in the region of $18 billion. If the IPO is successful, the company has revealed that it will venture into producing hardware for the artificial intelligence industry. As we wrote abive, its a red week We have dropped to the levels of support of July and currently rely on the support of $5,850. As of the writing of the update it’s trading around $6,135 with resistance at $6,800 in this range. 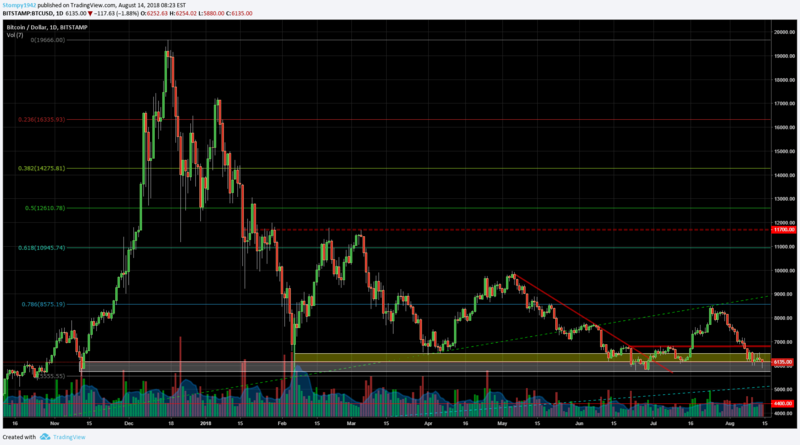 Against the dollar, the situation looks bad and the support areas around $400 broke fast and led to a biggest low of 2018 since November 2017. We were not around $260, where these areas of support are currently looking for a subtle bottom. Resistance is around $360 for this term. Against Bitcoin, we returned to the support areas of December 2017. 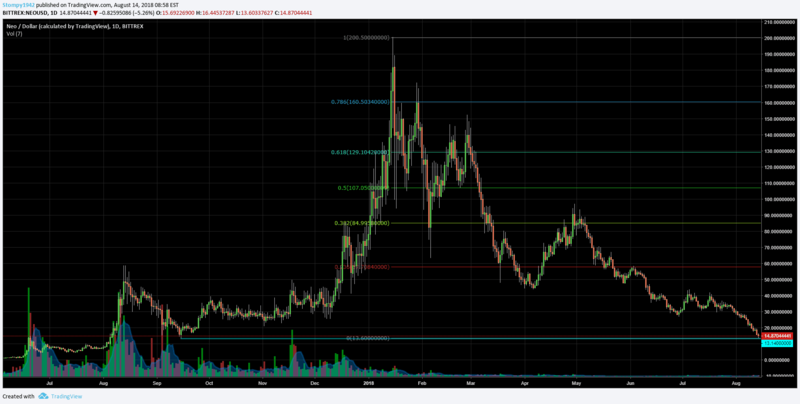 The price traded around 0.043 BTC with support in this range at 0.037 BTC. 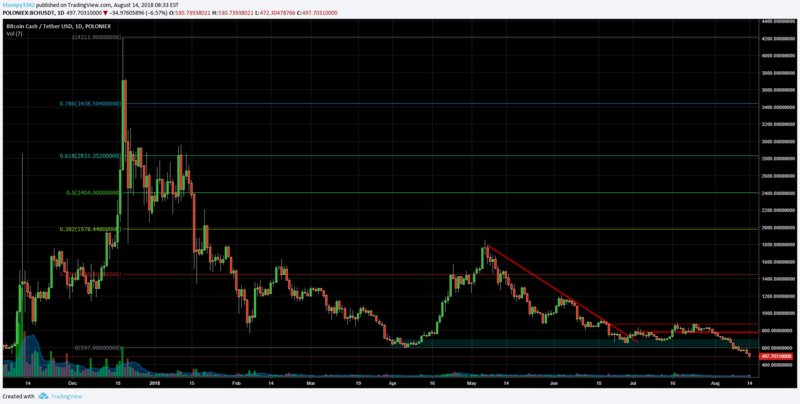 Resistance is at 0.054 BTC while the forecast for the near future is: volatile. Against the dollar it seems that as with most of the market the slump is also coming in. Trading around $497 is still unclear if support for these resistance areas is in this range at $600. Against Bitcoin, it’s trading down around 0.081 BTC. 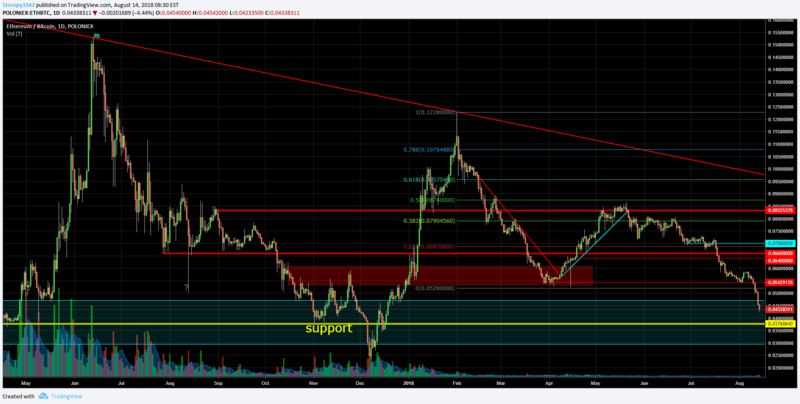 If we look at past support it seems that after the support was broken, the holding is around the 0.1 BTC rate. 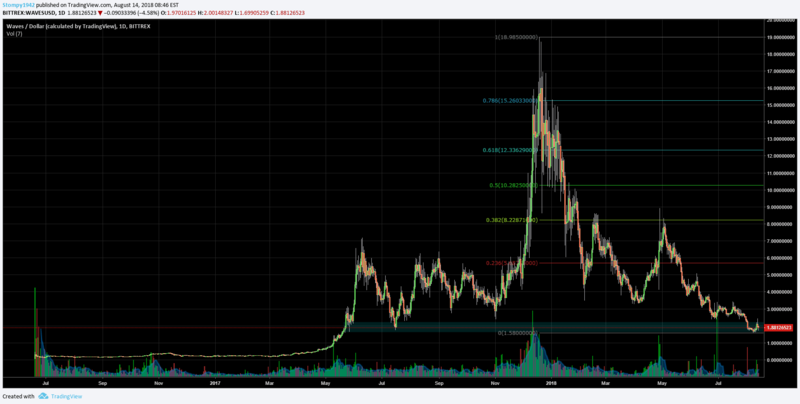 But it could also fall to areas of 0.07 BTC with resistance to this range at 0.09 BTC. Against the dollar from a peak of nearly $19 it fell to $1.5 where the floor is true for a period. This is a good example of repair going through the market. It traded around $1.88 with resistance in this range at $3 and already the gate fell in early August. In contrast to a positive week’s Bitcoin, despite the sharp declines, its at 0.000235 BTC. This appears to have been marked as a range for this range after an attempt to breach the W-level failed. Unlike other currencies, this currency rose against Bitcoin last week, but like the rest of the market, it suffered against the dollar. 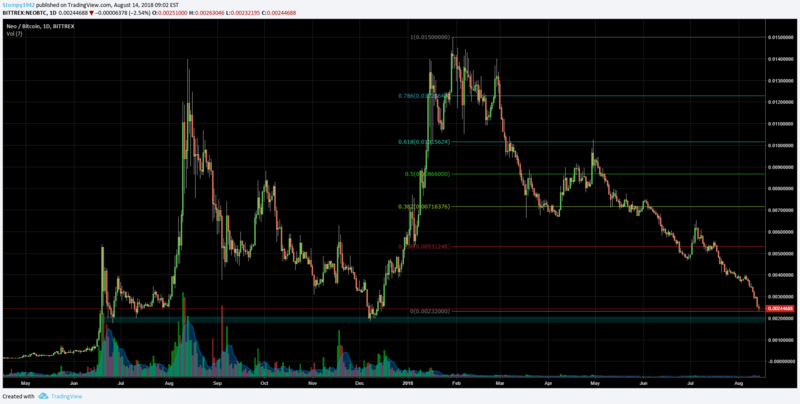 Traded around 0.0003 BTC with resistance in this range at -0.00048 BTC. Against the dollar it traded around $14.8 and seems to be approaching the support of October 2017. This was around $ 13 peak at the beginning of the year at $200. 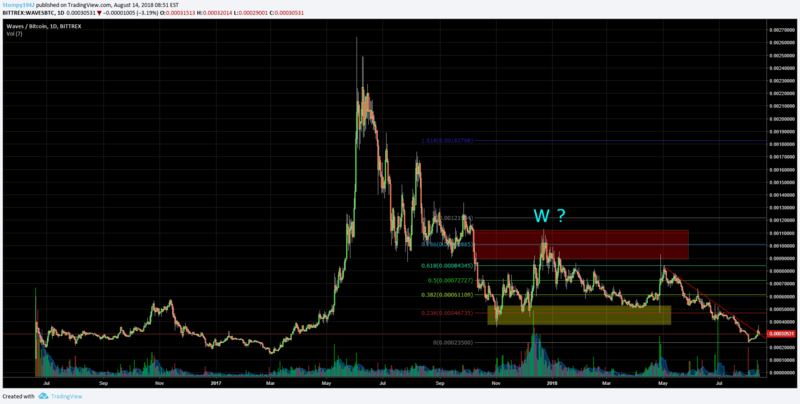 It seems that it will take time to get back there, while resistance in this collateral is at $20. 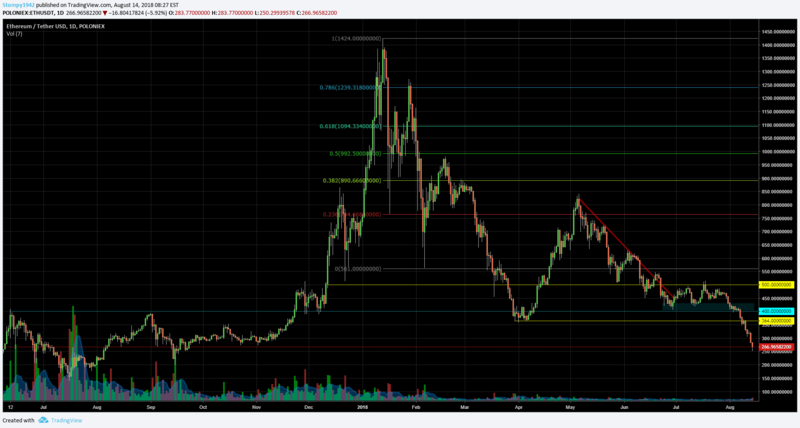 Against Bitcoin, its approaching the support of December 2017 which was around 0.002 BTC. 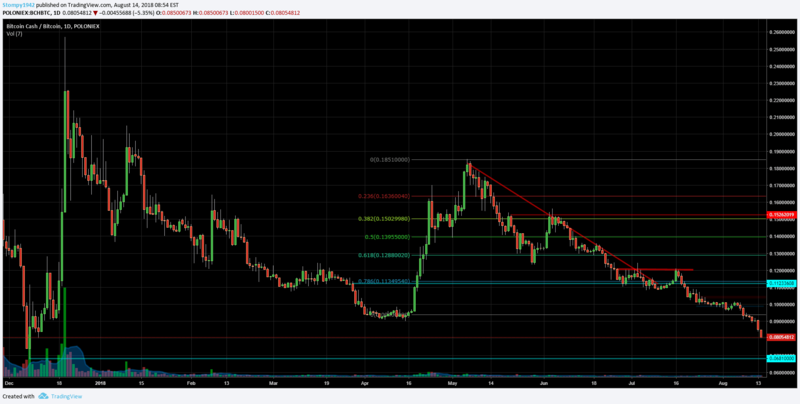 It traded not far from 0.0024 BTC while resistance is at 0.003 BTC in this range. The post Market Update Report August.14 appeared first on CryptoPotato.